Interpretation: it is our ability to see and interpret global financial events that sets us apart. Our competitive advantage is that we see events unfolding that others miss or see too late. 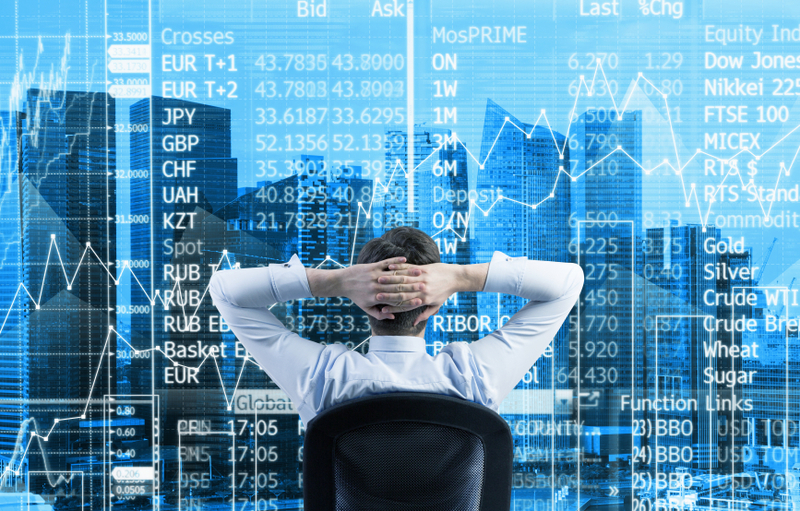 Trading Intuition: you gain from our knowledge and experience in trading or investing in the global financial markets. This is the most value-added part of all our services. Insights & Alerts: analysis of major economic and political events with insights on how you can position your portfolio to avoid risks and profit from opportunities in the medium to long-term. Join Now & Benefit from our Macro Insights and Trading Intuition! Individual and Institution Membership Options Available. The Macro Newsletter subscription includes: Global Macro Advisory® alert services, Macro Valuation® Reports & OptionWhiz Pro® trading insights. Alerts on major political, economic or financial developments in the global financial markets from a trading perspective. Our premium early warning system where we provide you with specific trading strategies to protect your investment portfolio from major market moves. Alerts on monetary policy in the US and key central banks globally with a focus on how these decisions impact your trading. Unique research reports focusing on key countries and industries. We provide you a unique insight on macro and geo-political issues plus industry trends. Monthly review of monetary policy changes for key central banks in the developed and developing world. An index of the major geopolitical, economic and financial risks that could impact your trading results. Learn how to trade the global macro environment with the right option strategy. Take precise positions while limiting your risk. Trading options requires the choice of the right investment vehicle. Benefit from our proprietary rating on various stock and ETF options! Volatility plays a key part in the pricing of options and is seen as a risk measure by the market. 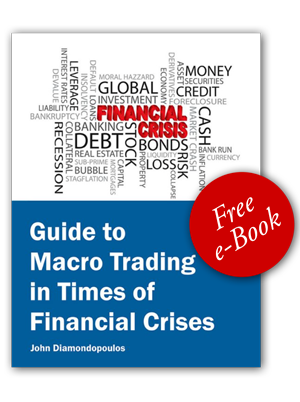 Get your free e-book on Macro Trading when you subscribe. Improve your knowledge and gain insights for your investment portfolio/trading. For details please find the book description at the bottom of the page. 14 - Day Free Trial! Try our macro newsletter for 14 days and if you are not completely satisfied, we offer you a no-risk 14 day money back guarantee. You can use Paypal or credit card on our highly secure checkout page. Thank you. Our Insights are backed by Trading Intuition developed over years of trading in crisis and non-crisis environments. Exceptional returns were achieved during the 1997 Asian Financial Crisis and the 2007-2008 Credit Crunch. Gained More than 10 Times Initial Investment! Risk Capped at 25% of Initial Investment! © 2013 by John Diamondopoulos All rights reserved. What is Macro Trading so special or unique? Does this Mean that Crises Cannot be Predicted? Need more time to decide, then download your FREE Copy and join our FREE weekly Macro Newsletter at no cost or obligation plus you can cancel at any time! Before undertaking any investment decision, it is highly recommended that you obtain advice from a financial advisor. Macro Trading Edge Ltd. is not a registered investment adviser and we do not provide investment advice or recommendations. Macro Trading Edge Ltd. is not regulated by the Financial Conduct Authority. You need to be aware that past performance is not a guide or guarantee of future performance. Prices may go down or up and in some investment assets it is possible that you may loose more than your original investment. It is your responsibility to see professional advice from a qualified financial advisor before making any investment decision. The Responsibility of Your Investments are Yours and Yours Alone.